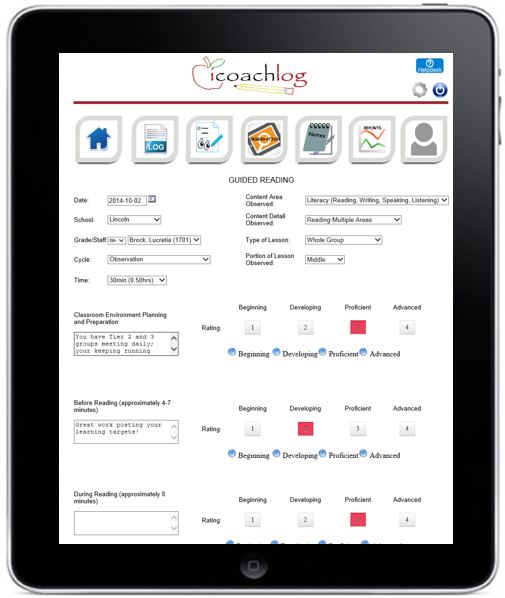 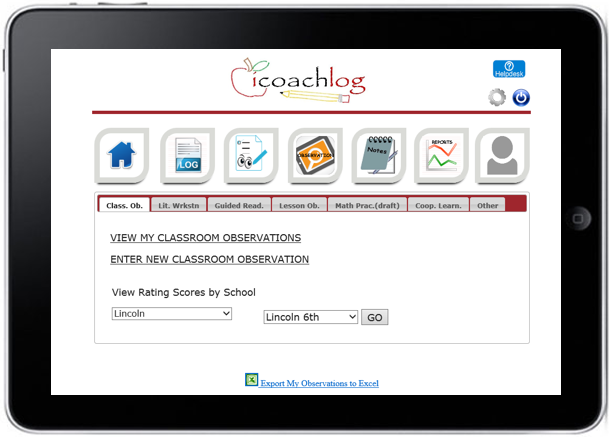 iCoachlog has electronic observation tools for instructional coaches to log and store their classroom observations. 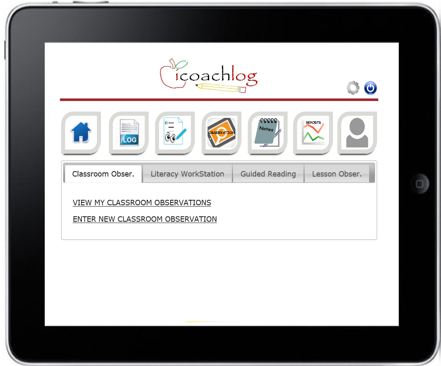 A variety of preloaded observation tools are available and districts can personalize these tools or add their own observation tools. 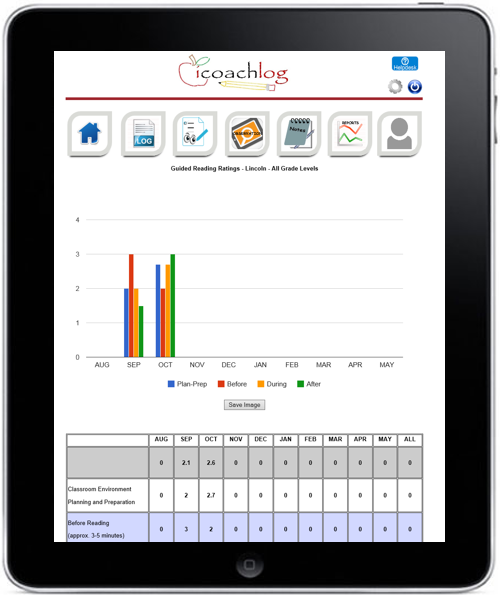 Observation data is reported in the grade level and teacher reports dashboard to allow you to track improvements as you work with teachers and grade level teams throughout the year. 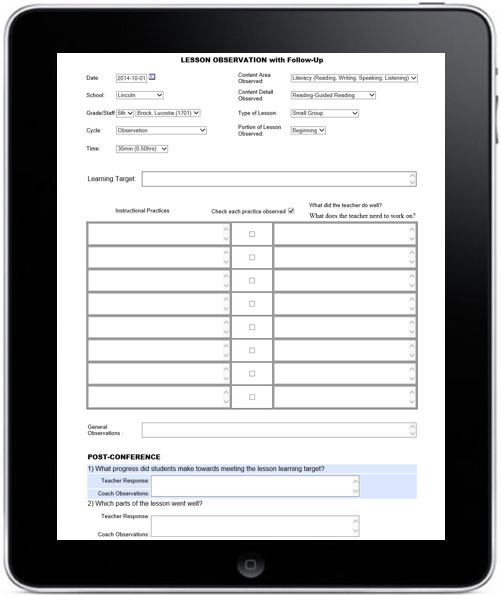 Each observation can be instantly accessed and used during post conferences and collaboration meetings. 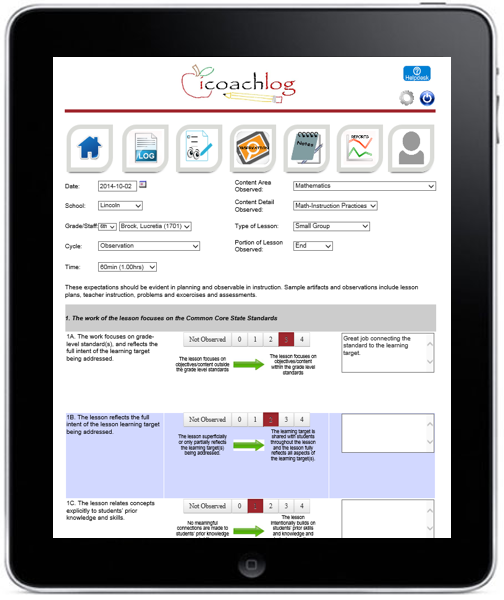 The system allows coaches to instantly export and e-mail completed observations to teachers.